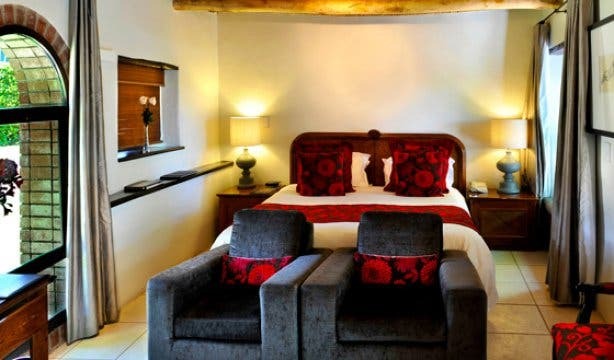 special offers at Grande Roche. A perfect combination for every to-do list. Coco Chanel once said that luxury is being comfortable, and if you agree with the sentiment, you’ll probably want to experience the Grande Roche Hotel in Paarl for yourself. Combining historic traditions with modern comforts, this hotel on a still working farm is a remarkable discovery for anyone looking for a five-star experience with a difference. Not to mention that you’re right in the heart of the Paarl Valley, with the entire Cape Winelands region around you to explore and enjoy. 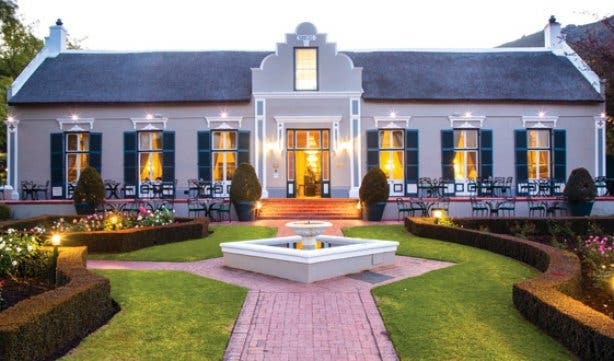 Grande Roche, is not just the only five-star hotel in Paarl, it was also declared a national monument in 1993 and is the only South African member of the Small Luxury Hotels of the World collective. 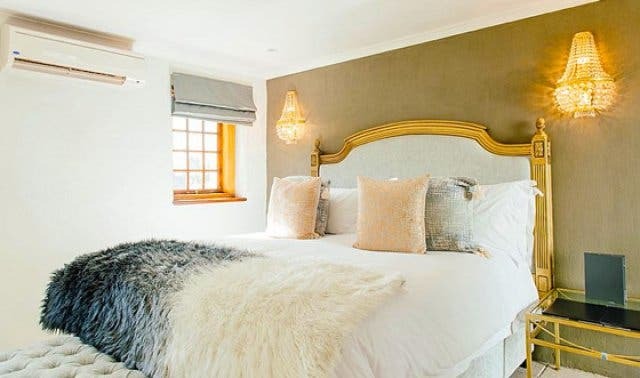 Created from a restored 1717 Cape Dutch manor house and farm buildings, Grand Roche is not your average ‘multiple-floors-packed-full-of-rooms’ kind of hotel. No, this is a collection of individually named suites, spread out over a series of beautifully landscaped garden spaces. 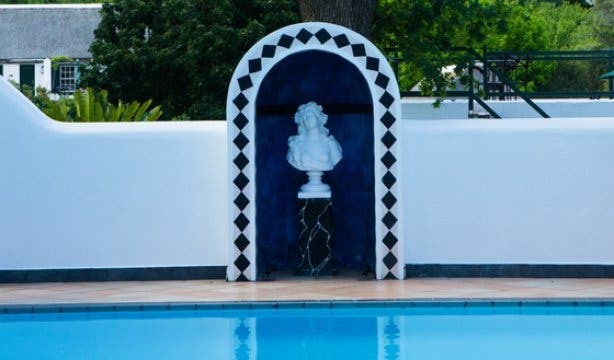 The property originally belonged to one Hermanus Bosman and it stayed in the Bosman family for almost 200 years before its 1992 restoration when it opened its doors as the luxury hotel it is today. The hotel consists of six studio suites situated in the restored coach and carriage houses and has its own semi-private garden terrace. 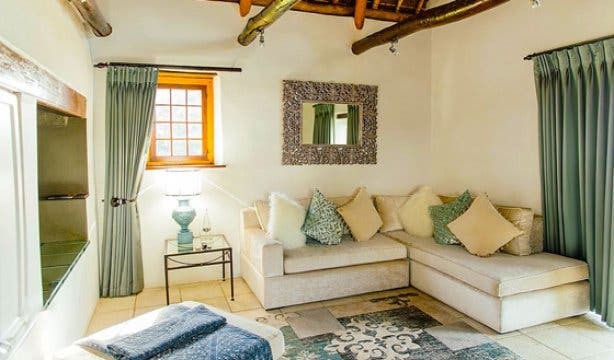 The old slave quarters have been transformed into five duplex suites, with the original farm stable converted to a romantic garden suite that has a private sun terrace and enclosed patio – perfect for honeymoons. You’ll also find flowers, wine and mineral water in your air-conditioned, heated room on arrival. And, of course, there’s free wireless internet available across the whole property. 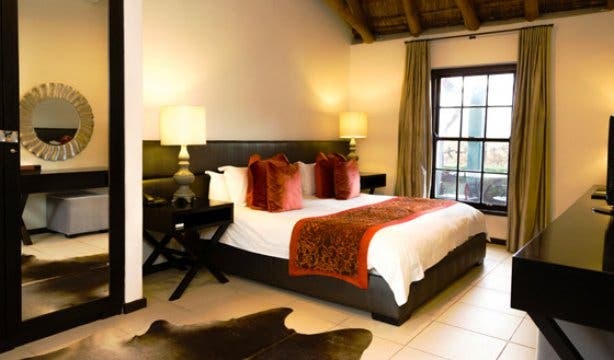 The property boasts two heated swimming pools, a fitness centre with a massage room, spa treatments and a fine art gallery featuring contemporary works. 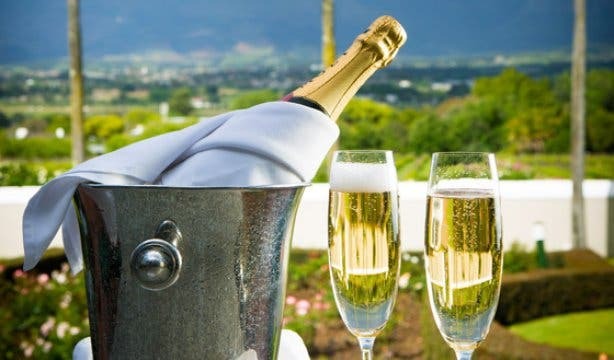 There’s a hiking trail through the Paarl Mountain Local Nature Reserve and even a private wine tasting with a sommelier. Wondering if you can bring your kids along? Of course, you can. The Grande Roche has a child-friendly swimming pool and the suites are able to include cots and rollaway beds for children under the age of 11 who are sharing with adults. Child-minding facilities are available by prior arrangement. The luxurious opulence of the Grande Roche and its many attractions might be just what the whole family needs. 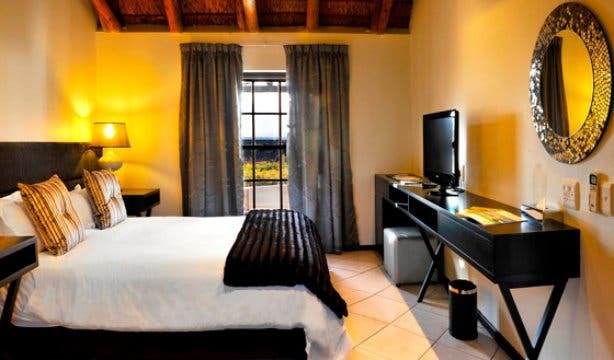 And if you are interested in going off the property, there are two golf courses (Boschenmeer and Pearl Valley), horse riding, quad biking, hot air ballooning, and helicopter tours in the vicinity. If you are looking for an ideal location with a view for your dream wedding, you should definitely check out Grande Roche. Have something old and something new surrounds you as you wed your love amongst the traditional Cape Dutch architecture with a modern twist. There are options to choose from, depending on the theme and style of your dream wedding. The non-denominational Slave Chapel, a beautiful 300-year-old building, seats up to 14 people, and a private dining room seating 14 guests, which interleads to the Red Wine Cellar. For those who are having more guests, the carpeted Banquet Venue and Amphitheatre Stage can accommodate up to 140 people. It can also be divided into three small sections each seating 40 people per section. The Amphitheatre is the perfect spot to host the ceremony or for serving pre-drinks. And the Manor House, with its elegant crystal chandeliers, is an excellent place for an indoor wedding as it seats 100 guests. And, if an outdoor wedding is your choice, the Bosman’s lawn, next to the Manor House and overlooking the vineyards seats up to 100 guests. Grande Roche’s professional banqueting team will ensure that your wedding runs as smoothly as possible. The Banqueting Coordinator is there to consult with and support bridal couples as to their specific needs and requirements. Bosman’s Restaurant is viewed by many as the greatest drawcard of Grande Roche. Situated in the Manor House, Bosman’s seats up to 70 people, and serves a bistro-style menu for lunch daily and offers fine dining for dinner from Wednesdays to Sundays. 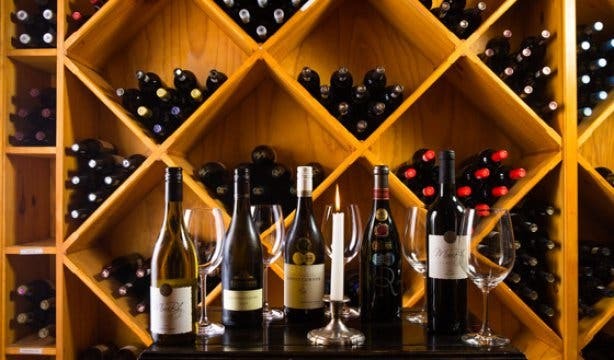 With excellent service and a wine list that boasts up to 76 wines, as well as five-star food, the restaurant books out well in advance, so make sure that you secure your booking at least seven days before you plan on attending. Tip: Have a conference or business meeting to organise? The Amphitheatre has capabilities for just that with packages that include food, conference pads and pens, data projector and white screen, complimentary Wi-Fi and flipcharts and markers. Looking for more special and unique spots to escape to? Check out these ideal romantic weekend getaways. You might also be interested in making a new discovery with our selection of accommodation specials. 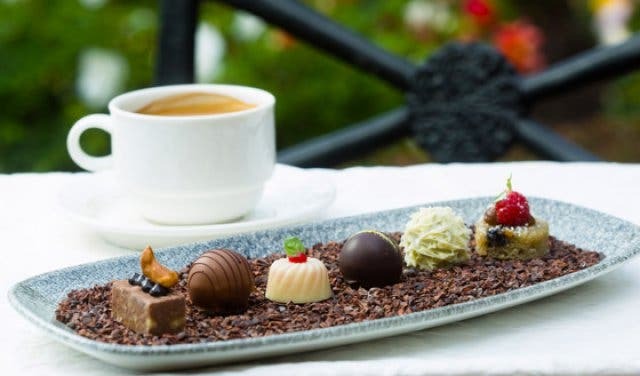 There’s also a lot of good food and cool experiences you’ll find under our choice-pick of buffet restaurants in Cape Town. 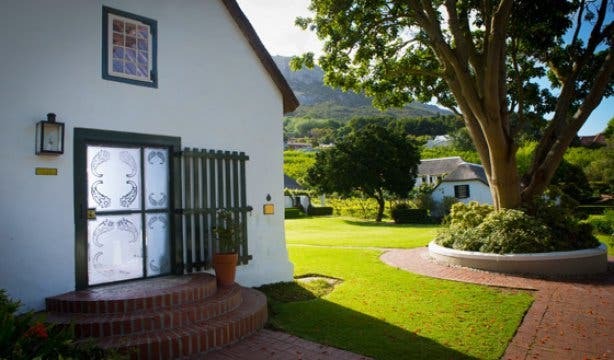 And discover more hidden gems around the Cape’s famous wine-making regions and routes.